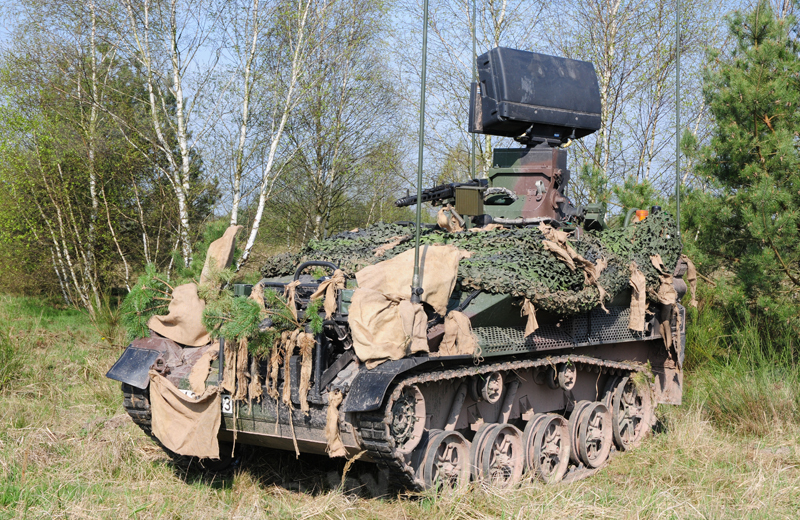 The Wiesel 2 Platoon Command Post and Radar Vehicle can only be operated when stationary and is a kind of centre of gravity of the light air defence missile platoon. 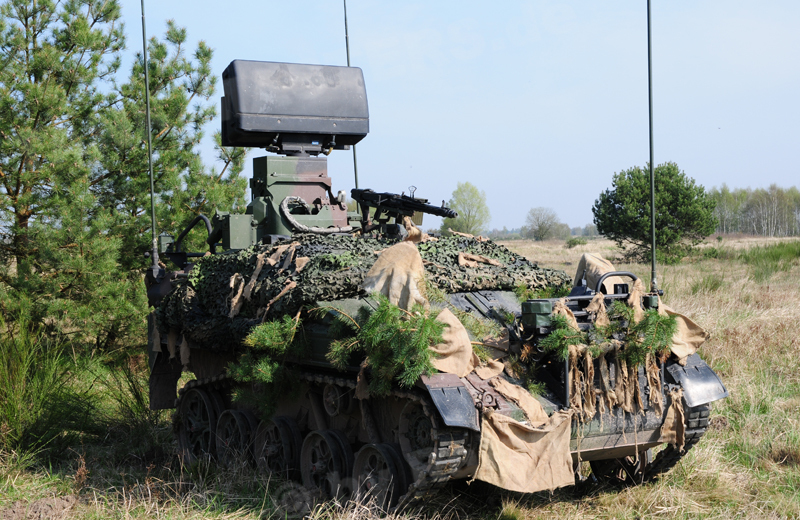 With its passive and active sensor suite the vehicle can monitor an assigned air space, identify enemy targets and conduct a threat analysis for the platoon, all without external support. The AFF Wiesel is fitted with the powerful HARD (Helicopter & Airplane Radio Detection) X-band 3-D radar which can detect targets up to a distance of 20km and an altitude of 5.000m. The HARD radar is a 360° search radar and can simultaneously track 20 targets. 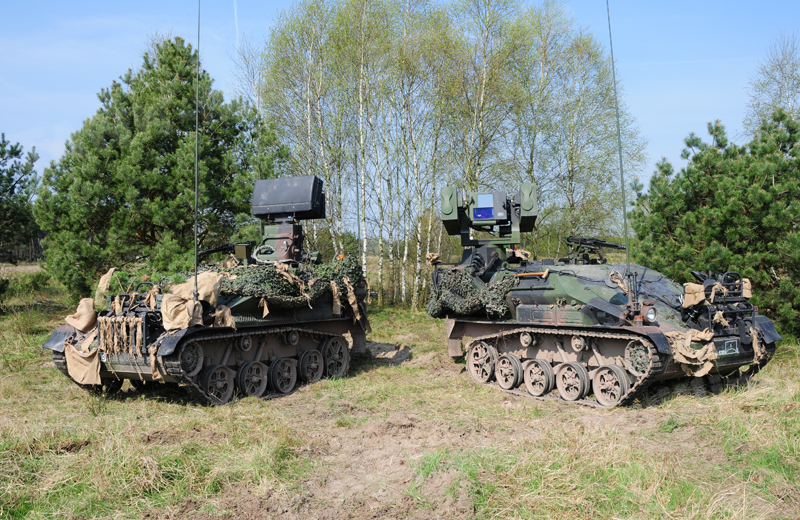 At the moment the German Air Force fields a total of six Wiesel 2 Platoon Command Post and Radar Vehicles in the two platoons. 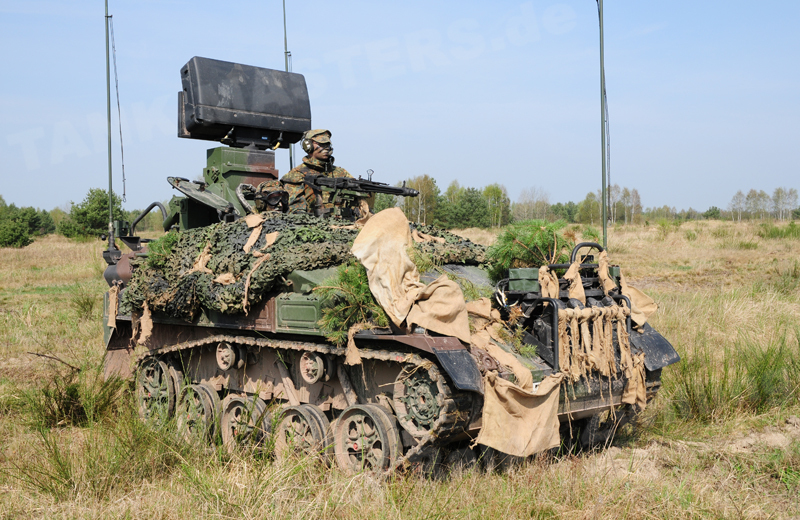 The armament consists of the 7.62mm x 51 MG3 machine gun mounted externally in front of the commander`s hatch and a 76mm smoke discharger system with four launchers.